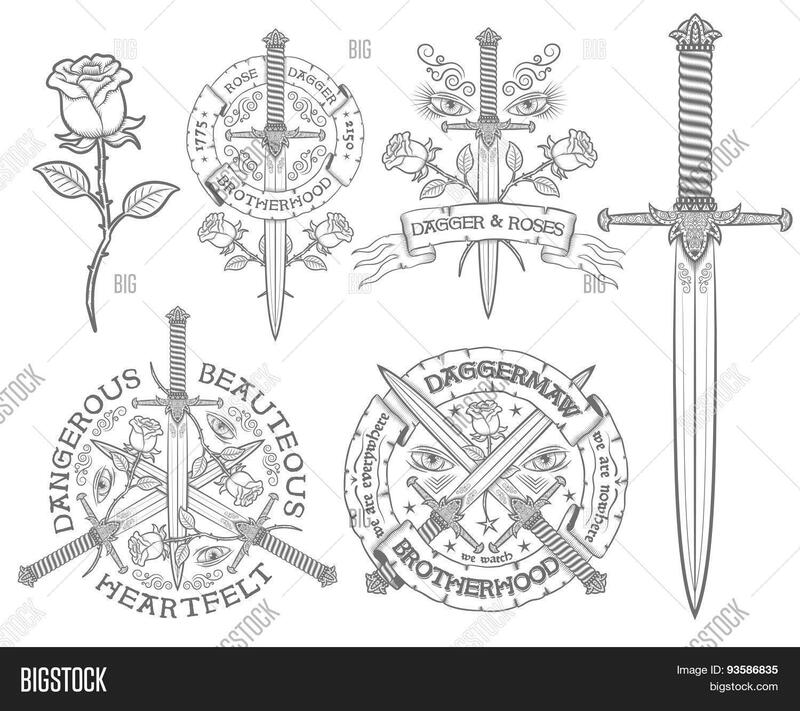 Retro emblem with a dagger and rose. 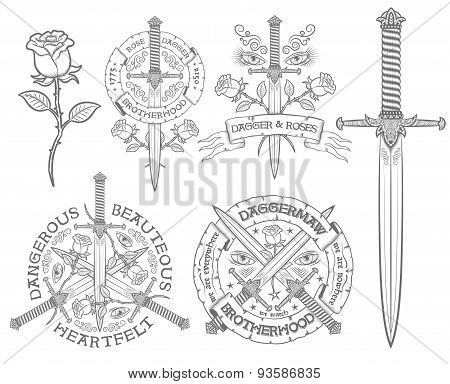 Vintage logo daggers roses heraldic ribbons. Ideal for and t-shirt print. Text can be easily replaced with your own.